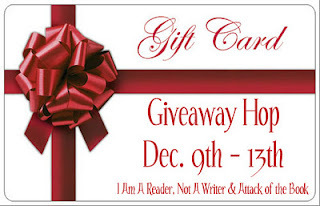 I wanted to let you know that Bonnie (mellocello1) won the $15 Amazon GC. Bonnie has 48 hours to email me back to claim her GC! Thank you all very much for all your support. 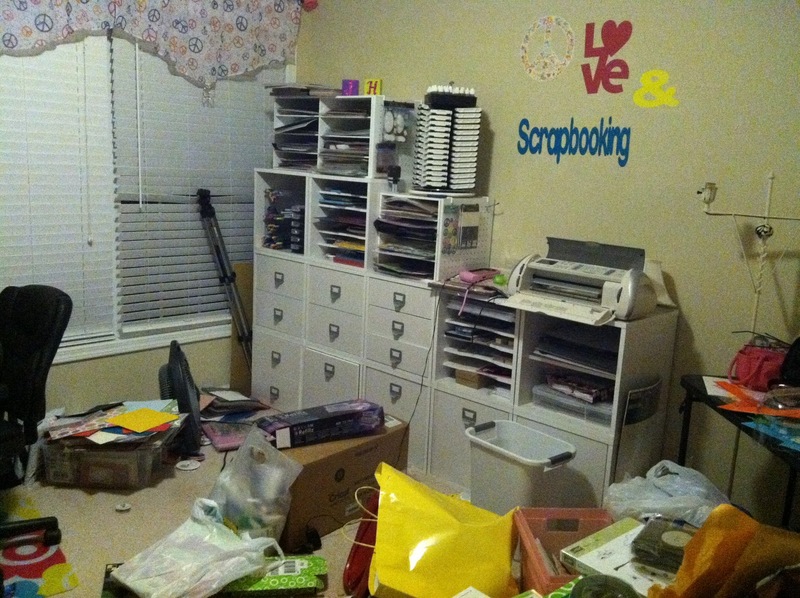 My hopes are to clean my scrapbook room this weekend and get back to crafting! It has been a really tough fall and I need some creative time! 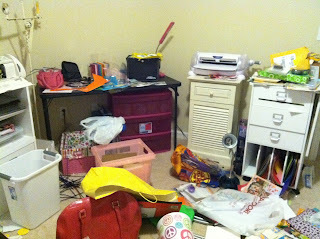 Here are a few photos of the disaster in my craft room. This fall one of my kids was in the hospital for about 3 weeks and out of school for 6 weeks. Between being at the hospital, other kids, home, etc. I didn't have a lot of time of anything else. My other kids took over my craft room (suppose to be off limits unless I am in there) making cards for all the kids in the hospital on their sister's wing. How can I get upset that, right? Since I have had no time to clean up the mess, I just have the door shut. 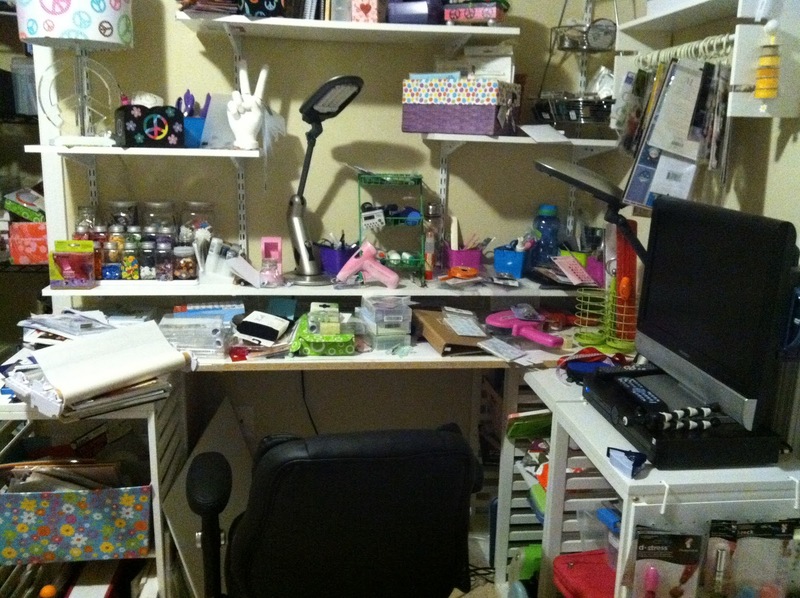 Amazing how when I don't see my craft room and all the exciting projects awaiting for me, how I don't wonder in there. Again, hoping to attack it this weekend. I have so many ideas in my head! 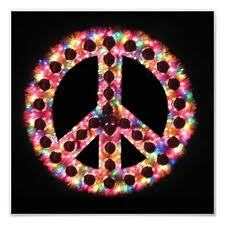 Have a great day and weekend!